We meet at Christ United Methodist Church, 400 5th Avenue SW, every Monday evening. Meetings are held in Wesley Hall, located in the basement of the church. Meetings start at 7:00 pm. We have one camp out a month. During the month of August, there are no meetings or outings. If you are interested in joining or would like more information about Troop 21, please contact Scoutmaster Dave Nelson or Troop Committee Chair Mark Carlson Also, attached below is information about the troop for you to download! 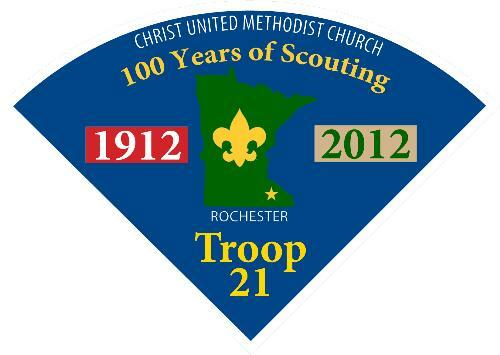 TROOP 21_2017.doc.pdf Troop 21 information for prospective scouts and their parents.